It’s not all that uncommon for a manufacturer to splice two lengths of wallpaper together, in the middle of a bolt. 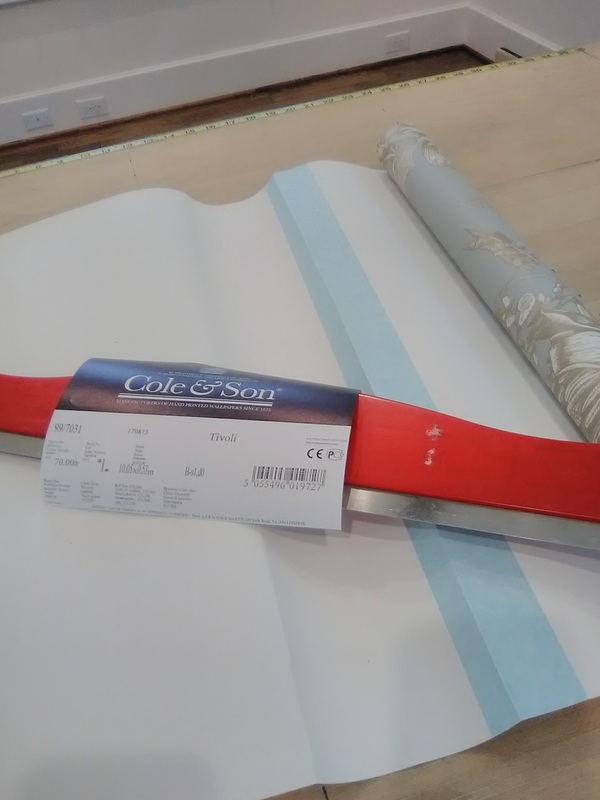 However, since this usually means that a lot of the paper will not be useable (because the lengths on either side of the splice will be too short to cover a full-height wall), the manufacturer usually includes some extra yardage. This time, Cole & Son gave me a spliced roll, but did not include any extra material. Luckily, we had enough paper that I could finish the room, even though this splice eliminated two full-length strips.